Andwin Scientific has been supplying the pharmaceutical, clinical and industrial laboratory markets with custom specialty kits and products for over 50 years. Established in 1950, Andwin has been working directly with the largest pharmaceutical companies and clinical labs to distribute kits worldwide through our sophisticated distribution system. Andwin's in-house packaging specialists, graphic designers and custom product engineers can assist in the development of virtually any standard or customized kit products and components. We can meet and exceed your most specific requirements for design, production and assembly of quality kits that include custom designed and printed boxes, labels and instruction inserts along with bar coding and virtually any kit component. Our operations are fully scalable. We will work closely with you to develop prototypes and samples to ensure that the final product will surpass all requirements. 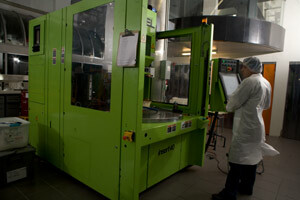 Andwin’s ability to produce or source the kit components that you require are virtually limitless. Andwin maintains unique strategic relationships with nearly all of the major suppliers of kitting, packaging and laboratory supplies. With over one million laboratory and clinical supply products from all major distributors and manufacturers, our synergy of our manufacturing and sourcing capabilities directly benefits our customers by minimizing costs and delivery lead times. Andwin Scientific is an ISO 9001:200 and 13485:2003 certified woman-owned business that excels in supplying quality products that meet customer and regulatory standards. Andwin has developed multiple 510k certified medical brushes, manufactures custom plastic components with FDA certified resins in a clean manufacturing environment, works with third party measurement and testing companies to certify IATA-compliant shipping and DOT- compliant transport packaging and can barcode and track standard and/or lot controlled kits or individual kit components. 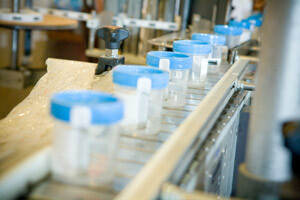 Andwin also can provide custom sterile products. We are located near one of the largest sterilization facilities in the country and will handle the dose map and dose audit process to ensure that the product is fully sterilized and remains so throughout the product life cycle. Andwin upholds the most stringent quality control procedures based on our ISO certification. We inspect all in-coming raw kitting components, track all lot controlled and date sensitive materials, manufacture products following documented in-process inspection procedures, and review and inspect all finished goods before shipping the product to our clients. Quality is a priority at Andwin and we go to great lengths to ensure that our products ship to our client’s exact specifications. Andwin's modern distribution systems can handle all schedule-critical delivery needs. Andwin also maintains cost-effective contracts with bulk carriers and international freight couriers to handle all shipments whether domestic or international. Andwin's warehousing includes over 50,000 sq.ft. of space with capabilities for controlled-temperature storage. Andwin prides itself on our customer service. No other company cares more about their customers than Andwin. Our staff is motivated to off the best service we can provide. With locations in California, Illinois and North Carolina, Andwin has the ability to meet all of your customer service needs no matter where you are located. You can also contact us through one of our corporate websites for order placement, product resources and shipment inquiries. We also have the capabilities for EDI order placement and invoicing for convenient electronic data transmission. 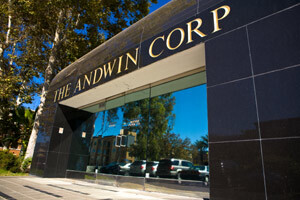 Andwin Scientific holds over 20 product patents. With the addition of our new injection molding division at our California manufacturing facility, Andwin can work closely with you to develop custom vials and closures that incorporate our patented Penetrex® technology. Penetrex® is the first and only pipette or blunt oral syringe piercable septum that can reseal immediately after piercing. This technology is unique because you no long have to remove the cap to sample product from within a vial. This prevents exposure of the vial contents to the environment, reduces repetitive motion injuries with laboratory technicians and protects the loss of vial contents from spilling if the vial should be knocked over. 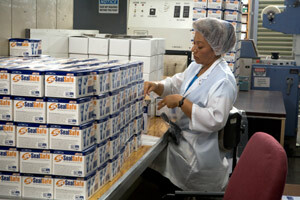 The SealSafe® dosing adapter is an example of a new innovation by Andwin that incorporates the Penetrex® technology. Contact us for more information on this industry leading, cost-effective solution for liquid filling and dosing.